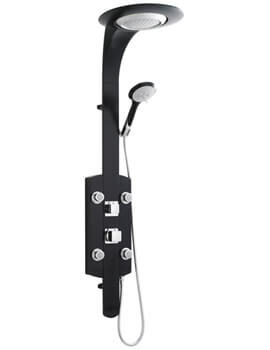 Hudson Reed has been known as a trusted provider of high-quality bathroom products for over 30 years. This same tradition can now be enjoyed with their latest line of shower towers offered through QS Supplies. 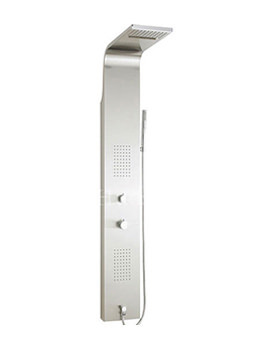 These units are excellent options for customers who are looking for a departure from the standard shower fixture. Able to offer a gentle and natural cascade of water from above, each and every variant, these units are also equally stylish. The minimalist designs seen in these vertical fixtures are also able to blend seamlessly with an existing environment. 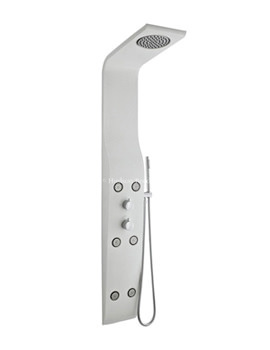 These shower towers from Hudson Reed are available in a number of varying designs and finishes. Stainless steel, glistening white and flat black are some common options to choose from. Chrome highlights are likewise able to boast a unique sense of modern beauty. Inset horizontal body jets, one-touch controls and the ability to work with nearly every existing type of plumbing system on the market are other benefits. 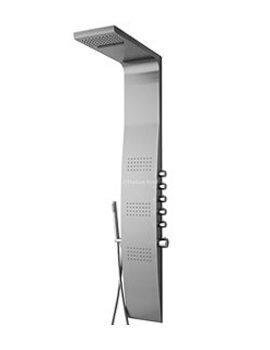 In terms of sheer indulgence, the temptation of these tower showers is difficult to match. Practical and stylish, these smart pieces offer powerful showering experience and would be the centerpiece of your enclosure.